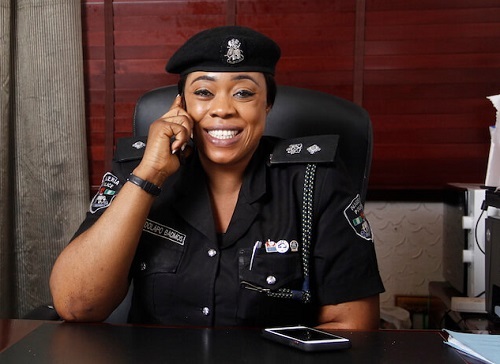 CSP Dolapo Badmos, the Police Public Relations Officer Zone 2 Command, has taken to her Instagram page to share a word of advise to Nigerian couples this yuletide season. While she told women not to push their husbands to get them xmas gifts, she also said men should make sure to gift their wives present this season, no matter how small. "It’s Yuletide season, I can see men gifting their wives exotic cars. Weldone to those husbands. Ladies if your husband can’t give you cars don’t be worried, better days ahead! Don’t push your husbands out at all cost to go and get you exotic cars. Ladies don’t make it a period of comparison, don’t give your husbands words like “is Mr X not your mate that gifted his wife so so and so car?” These words can increase suicide and criminal attempts. Bear with your husbands and pray for them to be better! 10 Reasons Why You Should Watch "Up North"
Actor Femi Adebayo and his wife welcome a son!